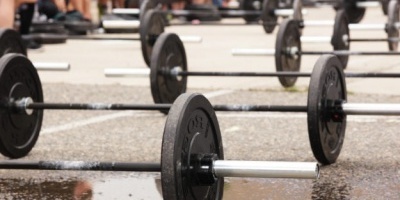 Are Rubber Coated Weight Plates Worth It? 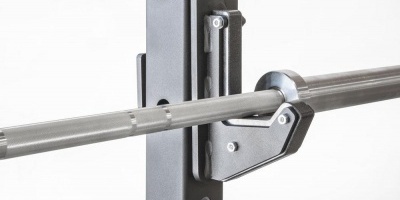 I frequently hear from customers who feel distraught over whether they should upgrade to rubber coated weight plates or stick with regular iron plates. You Have Housemates or Neighbors – Rubber causes very little clanging and banging as you load and unload the bar and weight tree. You Want to Keep Everything Else Pretty – Rubber helps prevent banging up your other equipment if you drop a plate or lean it against other equipment. This was a big selling point in commercial gyms, where users frequently lean plates against machines as they load different sizes or just get lazy about walking them back to the storage tree (nowadays big commercial gyms tend to go for urethane coated plates). You’re Worried About Rust – When you scratch iron plates up, you introduce more risk of rusting as the protective finish is scratched away and moisture can hit the iron. Rubber doesn’t totally prevent rust, but it sometimes does a better job of staying on the plates and protecting them. However, a good baked enamel finish on iron plates should hold up well to abrasion. If none of those apply to you, just get iron! Rubber plates can be more expensive…sometimes. It depends on what you’re comparing them to. These are guaranteed to be accurate in weight, plus or minus 2%. The extra machining and quality control involved adds to the cost. Troy, Ivanko and York make calibrated iron plates. Calibrated steel plates, aka powerlifting discs, are way expensive. They are meant for powerlifting competitions. They’re color coded, calibrated to within grams, and you can fit over 1,000 lbs on a bar. The tradeoff is that they’re harder to carry around, making them a bad choice for most of us even if money were no object. Rogue and Ivanko make these. 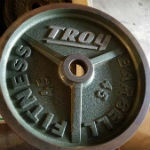 As far as rubber plates go, our Troy VTX and York Iso-Grip rubber plates are good sellers. Ivanko’s classic revolvers also come in a rubber coated version.